This list provides an overview of books about composing and compositional techniques, including orchestration. 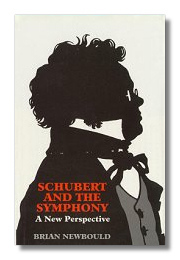 Schubert and the Symphony. Brian Newbould. Toccata Press. 1999. ISBN 0907689264 (hardcover). Professor Newbould examines Schubert's achievement as a symphonist, discussing his origins and influence. He also presents fascinating evidence on Schubert's unfinished symphonic works, contending that the "Unfinished" Symphony was indeed nearly finished. He considers the symphonic fragments, and the sketched Seventh and Tenth Symphonies, which are now being heard in Professor Newbould's performing editions. He also presents some fascinating detective work on Schubert's manuscripts which has allowed his works to be dated more precisely. Astonishingly, this is the first-ever study of Schubert as a symphonist. Composing Music: A New Approach. William Russo. University of Chicago Press. 1988. ISBN 0226732169 (paperback). Teaches a method for musical composition by breaking up the process into simple tasks which are comprehensible to all musicians with any music-reading ability. The Music of E.J. Moeran. Geoffrey Self, with preface by Vernon Handley. Toccata Press. 1997. ISBN 0907689175 (hardcover), 0907689183 (paperback). 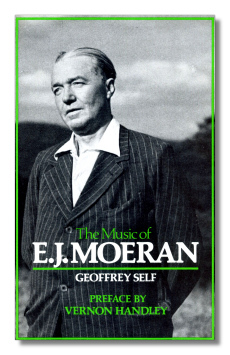 In this first-ever study of the music of Ernst John Moeran, the author examines all of Moeran's output, setting his analysis in a biographical framework. Szymanowski on Music. Karol Szymanowski, with Alistair Wightman (Editor & translator). Toccata Press. 1999. ISBN 0907689388 (hardcover). This is the first comprehensive selection of his writings to be published in English. 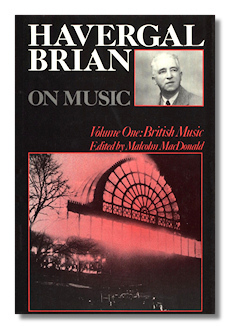 It contains all the most important of the composer's essays and interviews, throws light on the trying conditions under which he was obliged to work in the 1920s and '30s, especially in education, and gives perceptive assessments of the work of some of the major composers of the nineteenth and early twentieth centuries – Wagner, Strauss, Stravinsky, Ravel, Satie and others – and the trends they embodied. The Music of Franz Schmidt, Volume One: The Orchestral Music. 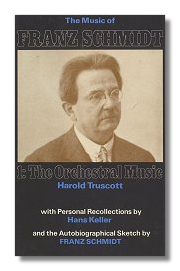 Harold Truscott, with Personal Recollections by Hans Keller and Autobiographical Sketch by Franz Schmidt. Toccata Press. 1995. ISBN 0907689116 (hardcover), 0907689124 (paperback). Examines the four Symphonies and other orchestral music of the outstanding Franz Schmidt (1874-1939), the "Austrian Elgar". Simple Composition. Charles Wuorinen. C F Peters. 1994. ISBN 0938856065 (paperback). The author, the composer Charles Wuorinen, describes the book in this way: "… this book is written by a composer and is addressed to other composers - intending or actual, amateur or professional. Thus it is similar in intent to certain older books on the subject like Thomas Morley's "A Plain and Easie Introduction to Practical Musicke" (1597), for instance… It outlines present practice, and while it can be used for purely didactic purposes, it can also be employed in composing "real" music.". Klemperer On Music - Shavings from a Musician's Workbench. Otto Klemperer, with Martin Anderson (Editor) and preface by Pierre Boulez. Toccata Press. 1989. ISBN 0907689132 (hardcover), 0907689140 (paperback). Otto Klemperer's writings, assembled for the first time in any language, on Beethoven, Mozart, Schoenberg and many others, including Mahler, who was a formative influence on the young Klemperer; he also writes on his years at the Kroll Opera in Berlin, his period at Los Angeles, and much more. There is also a complete list of Klemperer's own compositions, in print for the first time ever. Havergal Brian On Music, Volume One: British Music. Havergal Brian, with Malcolm MacDonald (Editor). Toccata Press. 1997. ISBN 0907689191 (hardcover), 0907689205 (paperback). The first of six volumes containing the most important writings of this powerful English composer (1876-1972). Brian writes on the British Musical Renaissance, on Elgar, Delius, Vaughan Williams, Holst, Bantock, Bax, Britten and dozens of others, and presents a vivid picture of British musical life in the first half of this century. Boult On Music - Words from a Lifetime's Communication. Sir Adrian Boult, with foreword by Bernard Shore and introduction by Vernon Handley. Toccata Press. 1988. ISBN 0907689035 (hardcover), 0907689043 (paperback). Essays, radio talks, interviews, magazine and newspaper articles by Sir Adrian Boult, on conducting, on composers he knew and worked with (Vaughan Williams, Holst, Elgar and others), on the great composers of the past (Bach, Schubert, et al. ), on other musicians (Menuhin, Casals, Beecham, Walter,…). Fundamentals of Musical Composition. Arnold Franz Walter Schoenberg (Editor), with Gerald Strang, Leonard Stein. Faber. 1967. ISBN 0571092764 (hardcover). A systematic investigation of the materials of (tonal) composition. Sometimes brilliant, sometimes boring. Definitely worth a read-through. Elgar's Enigma Variations - A Centenary Celebration. Patrick Turner. Thames Publishing, London. 1999. ISBN 0905211014 (paperback).